Internet of Things (IoT) devices have made building automation systems more accessible than ever. Thanks to rapidly decreasing hardware costs and world-class networking technology, building automation is no longer a luxury for only the largest buildings. Now, even small and mid-sized apartment complexes can afford to use automation to run more efficient, profitable buildings. Building automation impacts every utility and system in the building, from security to water usage. As such, numerous technologies that must work together seamlessly. Where do you begin? Let’s dive deep into the nuts and bolts of building automation systems. But First: What is a Building Automation System? Building automation allows management to remotely monitor and optimize a building’s systems, including HVAC, lighting, and plumbing. Building automation systems (or BAS) are powered by sensors, controllers, and network infrastructure installed throughout the building and managed from a single application. BAS’s can also include a building’s safety and remote access systems. In the IoT era, many formally “dumb” technologies have been brought online and are easily connected to the larger building network. Let’s look at the technical components in each layer and the roles they play in a building automation system. Primary building systems are the vital organs of a building. They include basic utilities as well as security and safety technologies. While IoT technology has changed the way these systems operate and interact with one another, their purposes have not changed much. 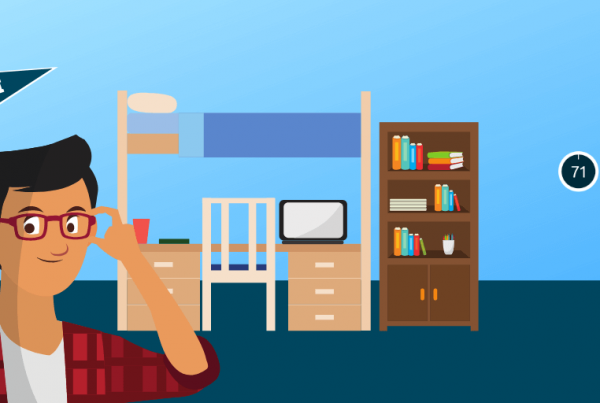 According to CenStar Energy, renters spent a significant portion of their income on heating and cooling their apartments, with AC alone ranging from $23-$137 per month. This is one of the largest areas where automated systems can optimize consumption and minimize waste. Smart HVAC systems better regulate climate and costs by using building data to automate usage. Additionally, smart HVAC systems can monitor air quality, making it easier to know when to adjust for humidity or change filters. Smart electrical and lighting solutions are another major cost-saving solution for multifamily buildings. Smart lighting optimizes energy usage by learning from both historicalf and real-time building data. New lighting technology like Power-over-Ethernet (POE) lighting reduces the amount of expensive electrical conduit that needs to be installed, further lowering costs and simplifying maintenance. Water consumption can be a costly resource depending on your location. Ensuring your building is using water wisely can save you thousands of dollars a year. Smart sensors and valves can automate water usage while monitoring quality and detecting issues. For example, smart plumbing systems will shut off the water when a leak is detected before it leads to flooding and damage. IoT-powered surveillance systems make it easier than ever for property managers to set up comprehensive security throughout the property. Smart security cameras are simple to install and can automatically detect abnormal movement in the building, even alerting management of potential issues. Automated access control, fire safety systems, and alarm systems are more ways that property managers can keep their buildings and residents safe. If primary buildings systems are the vital organs, then network infrastructure is the nervous system of a smart building. It is the fabric that enables communication between people, devices, and the network—so it needs to be fast, reliable, and secure. Today’s building automation systems connect via wifi and Bluetooth infrastructure, rendering old and complicated BAS network tech unnecessary. 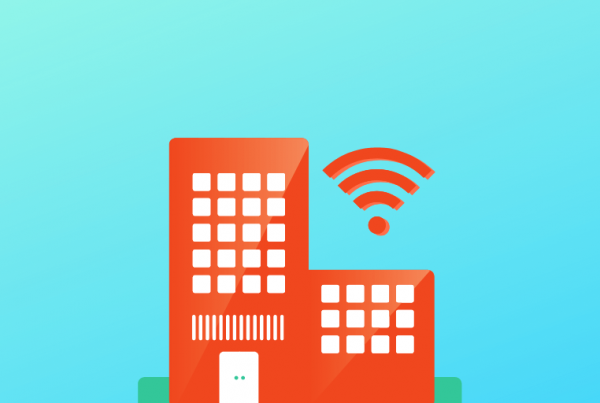 Wireless internet is the primary network for connecting building automation technologies. As the need for bandwidth increases, it becomes even more important for buildings to have built-in wifi infrastructure. Without wifi, buildings would be forced to rely on spotty and expensive cellular service. A private wifi network provides other benefits as well, like new, incremental revenue channels. 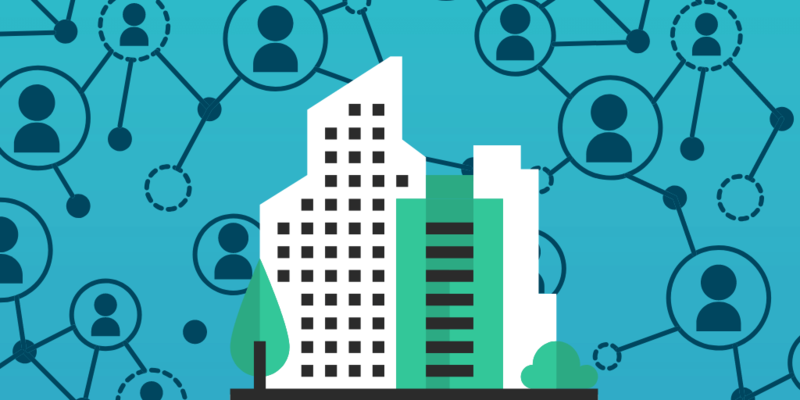 Building automation systems should also utilize a secondary Bluetooth mesh network for use cases that only require a low-power connection. For example, Bluetooth should be used instead of wifi to connect smart light bulbs in an apartment unit. Once a property is wired with wifi and Bluetooth infrastructure, sensors can be easily added or removed to meet the building’s changing needs. This is one way building automation systems can help future-proof your smart apartment. Ethernet is no longer a requirement in apartment buildings, but some developers still choose to add it as an amenity for residents and to power technologies like POE lighting. Tying everything together is the building automation software, also called a smart building platform. The smart building platform allows property managers to control building systems, view analytics, set automation schedules, and schedule manual tasks– all from a single interface. It also makes it easy to install and integrate new technologies or services as they become available. At the foundation of a smart building platform is a powerful cloud computing service that captures, transforms, stores, and models building data. Property managers can then analyze this data in various ways, generating detailed reports across numerous variables. This offers a much-needed upgrade from traditional building automation systems that require on-site servers and IT support to store and manage data. 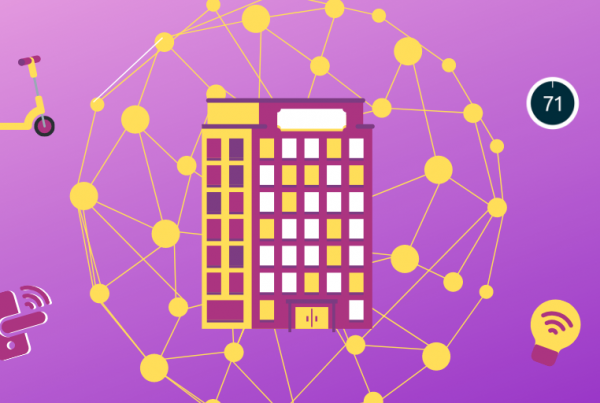 While there are numerous building automation platforms for commercial buildings, multifamily properties have a unique set of needs, including rent collection and various user permission levels. We recommend using a platform designed for smart apartments, such as Homebase, that gives you control over every aspect of community and building management. IoT-powered building automation systems are creating a new generation of truly smart buildings. IoT has made building automation more powerful, less expensive, and more accessible than ever before. Not only are these new systems easy to use, but they are also easier to install and implement than traditional BAS’s. Everything from lights and water, to smart locks and security cameras, can be tailored to save time, money, and labor. The future of living is already here, powered by the IoT and controlled by you.